The 2013-2014 flu season has proven to be one of the most deadly in recent years, with high levels of contraction and several deaths as a result of the infection. As BioNews Texas has reported previously, Texas was hit particularly hard this year. 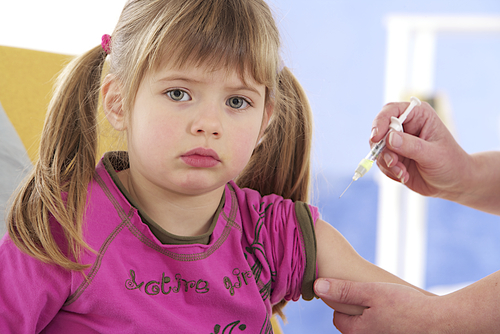 Just two weeks ago, KCEN reported that a child had died from the flu in North Texas. This latest report of a flu death is yet one more heartbreaking story that underscores the peculiarity of this year’s flu season, which has seen a disproportionate number of serious cases, hospitalizations, and death in young patient populations. No longer a disease that is especially dangerous for infants and the elderly, the flu strains this year, predominantly H1N1 and H2N3, targeted people between the ages of 18 and 64, which represented 61 percent of all hospitalizations from influenza. That 61 percent is up from 35 percent last year. Fortunately, the rise of flu in Texas may have peaked. Meanwhile, the U.S. Food and Drug Administration’s (FDA) Vaccines and Related Biological Products Advisory Committee unanimously recommended that the virus strains used for the 2014-2015 northern hemisphere influenza season vaccine should be same as those used in the 2013-2014 vaccine. As a result, the World Health Organization (WHO) made the decision on February 20th, following the recommendations. The 2013-2014 seasonal influenza vaccine reduces the risk to receive medical care for influenza illness by 61%, which is more effective than the previous 2012-2013 vaccine, which featured a 51% risk-cutting rate. The committee made recommendations for the trivalent vaccine and for the quadrivalent vaccine. The trivalent vaccine should contain: an A/California/7/2009 (H1N1)-like virus (current vaccine strain); an A/Texas/50/2012 (H3N2)-like virus (current vaccine strain); and a B/Massachusetts/2/2012-like virus (B/Yamagata lineage) (current vaccine strain). The quadrivalent vaccine should contain: the three types of strains contained in the trivalent vaccine; and a B/Brisbane/60/2008-like virus (Victoria lineage). The manufacturing rate for these two types of vaccines will be 50% each, said Sam Lee, PhD, senior director for Sanofi Pasteur’s Pandemic Influenza Strategy. It is known that A(H1N1)pdm09 viruses in 2013-2014 had outbreaks in several countries, and most A(H1N1)pdm09 viruses in human could be inhibited with antigens against A/California/7/2009 viruses. A(H3N2) viruses also caused outbreaks in several ocuntries and it is antigenically and genetically similar to A/Texas/50/2012 viruses. Influenza B activities with B/Yamagata/16/88 lineage viruses are reported in many countries, and recently researchers reported that the virus has similar antigenical feature to B/Massachusetts/2/2012-like (clade 2) viruses. Most of B/Victoria/2/87 lineage viruses were antigenically and genetically close to B/Brisbane/60/2008 viruses.